We are here to help you. Welcome. We are passionate about the health of women throughout their lives and we offer an extensive range of services to support them with some of their biggest health concerns. We offer a world-class health service for women and for newborns. For women, we offer an extensive range of services to support them with some of their biggest health concerns; complex pregnancy, infertility, endometriosis, chronic pelvic pain, heavy menstrual bleeding, menopause, sexual health and women's cancers. 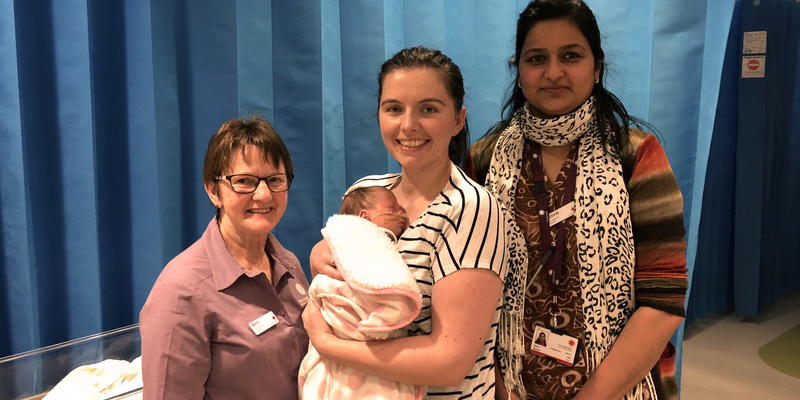 For babies, our Newborn Intensive Care Unit, is a place where babies from across Victoria come to, when they are born unwell and premature and require around-the-clock care for their survival and their development. We are committed to providing the highest standard of service and care and we have built research into every stream of the hospital to make sure that our patients are the first in line to receive the most advanced treatment available. The Royal Women’s Hospital is committed to child safety through a zero tolerance for child abuse. We are committed to acting in children’s best interests and keeping them safe, and actively working to empower children. The Women’s is committed to a holistic philosophy of health and provides comprehensive services ranging from health promotion to clinical expertise and leadership in maternity services, gynaecology, cancer services and specialist care of newborn babies. Find your way around the Women's at both the Parkville and Sandringham campuses. Information about patient fees, what to do if you don't have a Medicare card, and being a private patient at the Women's. If you owe fees for your care or stay in hospital, there are easy ways for your to pay your bill. A variety of food and retail outlets are located at, or close to, the Women's for the convenience of patients and visitors. Car parking and public transport access is available at both the Parkville and Sandringham campuses of the Women's. Here you will find maps, and information on parking, bus, tram and taxi options. The Women’s Child Care Centre is a not-for-profit workplace child care centre that is operated by the hospital at the Parkville campus. We offer occasional places for children of patients at the Parkville campus. Childbirth education at the Women's campuses in Parkville and Sandringham, and community venues. The timetables and stops for routes 401, 402, 403, 505 and 546 will be affected while the Parkville Station is being built. - Why would I need a blood transfusion? - How do I receive a blood transfusion? - Is the blood safe?